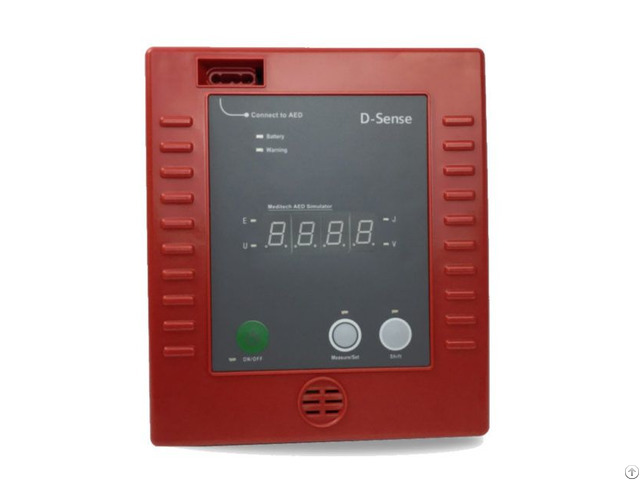 The accuracy of its performance parameters related to the safety of patients, must be through the corresponding detection equipment AED production of the performance parameters of the test and regular performance check. Meditech D-Sense automated external defibrillator analyzer can simulate a variety of normal and abnormal ECG signals for defibrillator testing, test the ability of the defibrillator to analyze ECG signals, and display the defibrillator primary discharge energy and energy via the LED digital tube Discharge voltage values, the selection of ECG signals for different tests, and the display of voltage display or primary discharge energy are achieved by key operation. The overall operation of the instrument is simple and convenient.